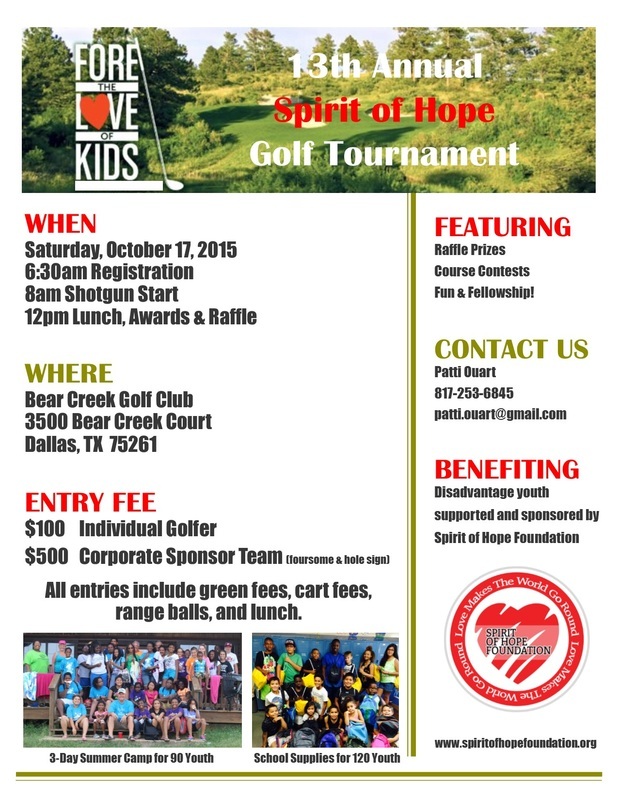 Fore the Love of Kids! 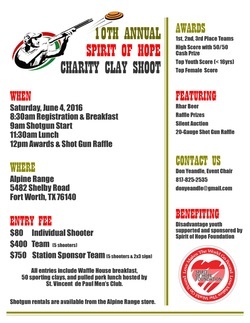 Proceeds benefit the annual SOH Christmas Party for 200+ less fortunate community youth. Give your "spirit of hope" & make a difference! I just wanted to share about a last minute outing and a few pictures from today with a great group of kids. 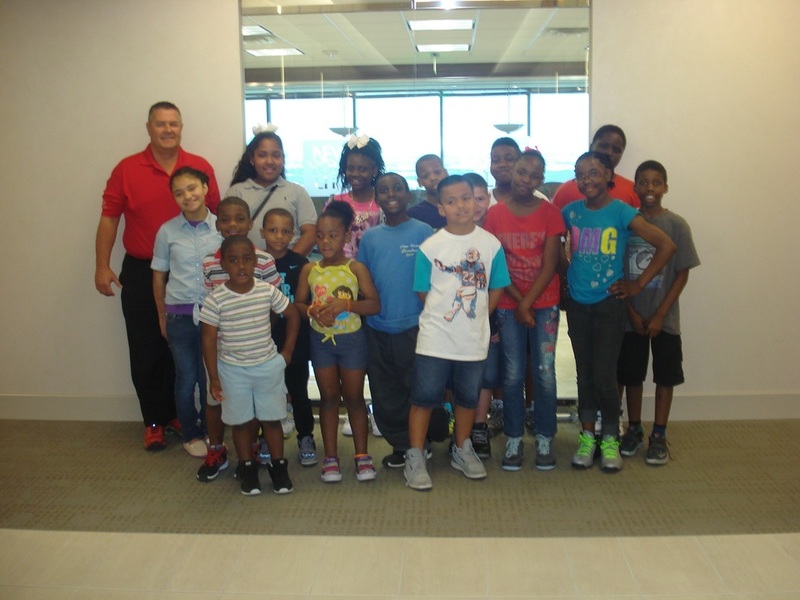 We were contacted by a group that their children's fieldtrip was cancelled and they asked if we could do anything with the kids because they were heartbroken. We were able to put together a quick outing to my office in downtown Ft. Worth followed by lunch in downtown as well. For those of you that don't know, I have a gorgeous office in downtown Ft. Worth on the 38th floor of a high rise overlooking the city. It is not uncommon for kids to have never been up to a place like this before. Today was no different. None of the kids had ever been up in an elevator this high before. It was something else that reminded me, that we really don't know how fortunate we are at times. There were three kids there today, that did not even know what a restaurant was because they have never been to one. We went to Jake's downtown. A hamburger joint, that is not fancy at all. These kids ordered burgers, chicken tenders, fries, shakes, and drinks. A couple did not eat everything and they couldn't believe that they could take a to go box and share with their brothers and sisters at home. You would have thought we had just left Del Friscos. 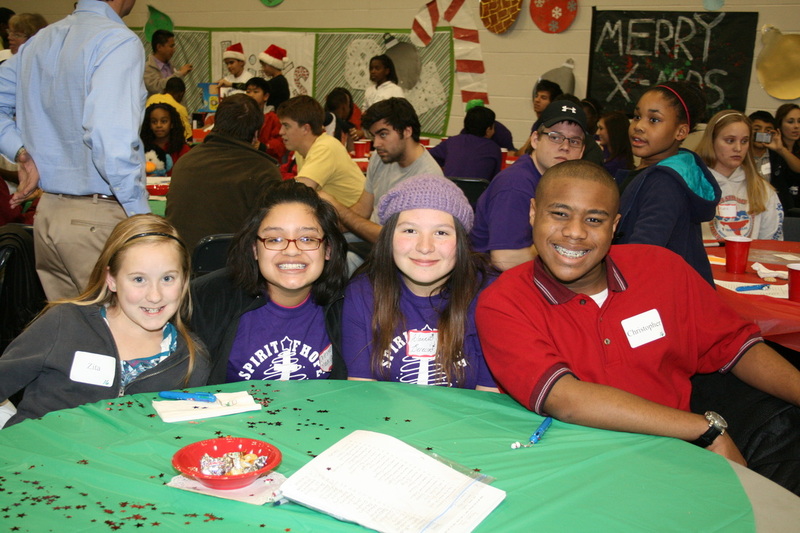 Together, we help let these kids know someone cares and they have a chance to be anything they work hard to become. 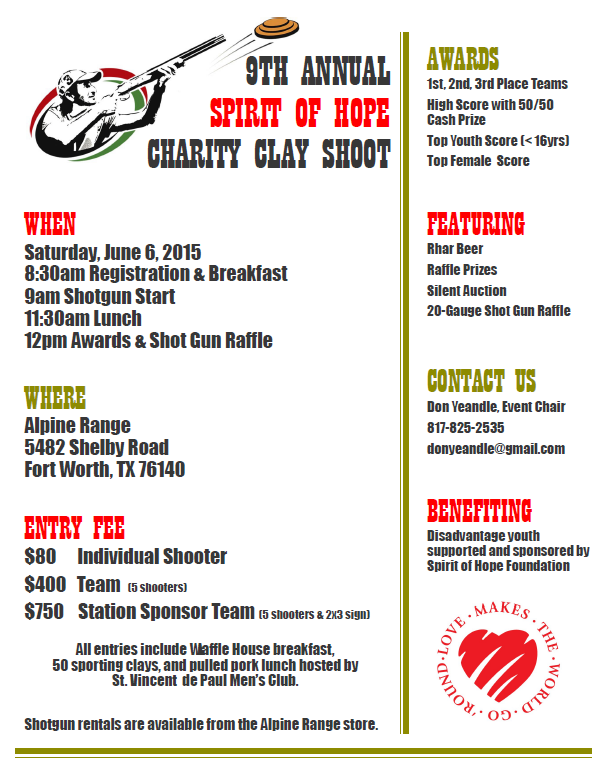 Join us on Saturday, June 6 for the 9th Annual Spirit of Hope Charity Clay Shoot! Featuring a 20-guage shot gun raffle. To register, please contact Don Yeandle at donyeandle@gmail.com or at 817-825-2535 or Sandy Demke at mermaid37@sbcglobal.net or at 817-301-3188. 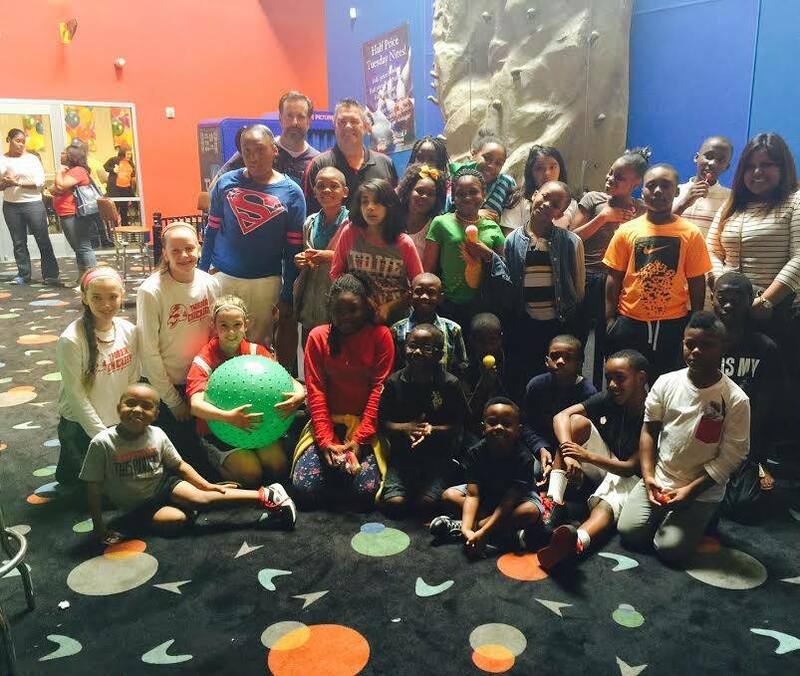 Had a great time with 25+ community youth this past Saturday on a field trip to Alley Cats. Bowling, laser tag, arcade games, food, fun, & fellowship! For many of the youth, it was their 1st time to experience a fun day like this. Giving the “Spirit of Hope” to children is the reason for our being!